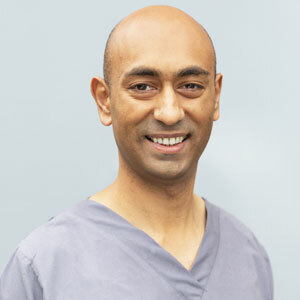 We love welcoming new dentists into our friendly team, so it’s with great pride that we introduce you to Dr Ronak Patel who will be taking to the helm here at Station Square Dental. Dr Ron has extensive experience working as a dentist in both the UK and Australia, including lending his expertise to the East Melbourne Dental Group and running a reputable dental practice with his wife, Priya, who is also a dentist. Dr Ron is a graduate of Guy’s, King’s and St Thomas’ Dental School in London. He and his wife immigrated to Melbourne in 2011 and enjoy calling Australia home. They are also proud parents to three young children. While Dr Ron is trained in all facets of dentistry, his particular expertise lies in endodontics, implants and facial rejuvenation techniques such as anti-wrinkle injections and dermal fillers. He is an experienced CEREC CAD/CAM technician and is passionate about embracing technological advancements to provide the highest quality of dental care. Dr Ron looks forward to bringing a fresh new focus to customer care and embracing new ideas to make your Station Square Dental experience everything you hope for. Welcome to the team Dr Ron!